I actually found the exact Sunny 10 pineapple drink that Chanyeol is holding in this CF. I got it from a supermarket in World Square for a dollar at the beginning of February. Yes, a dollar! They only had Kai and Chanyeol's version and since Kai is one of my bbs, I got his version of the drink. The English side of the drink. I would like to find Baek's version because I like Baekhyun. 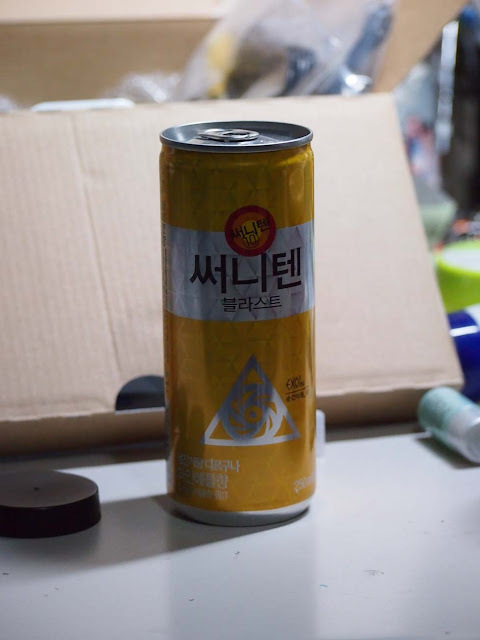 A few weeks later, I went back to World Square supermarket and purchased this drink along with Korean rice cakes (tteokbokki) and sweet chilli fried chicken to have for dinner with my mum. 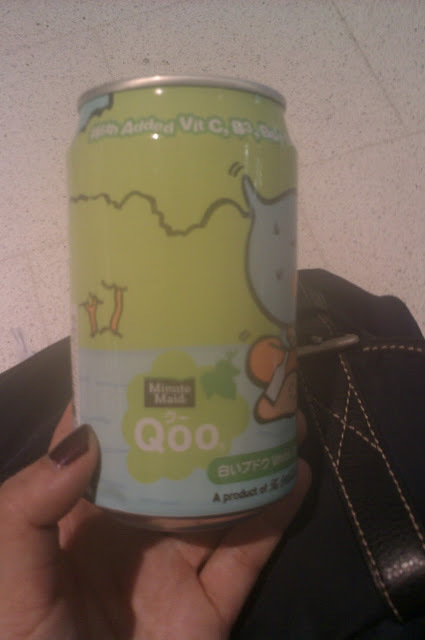 I purchased Qoo (クー) White Grape Juice. 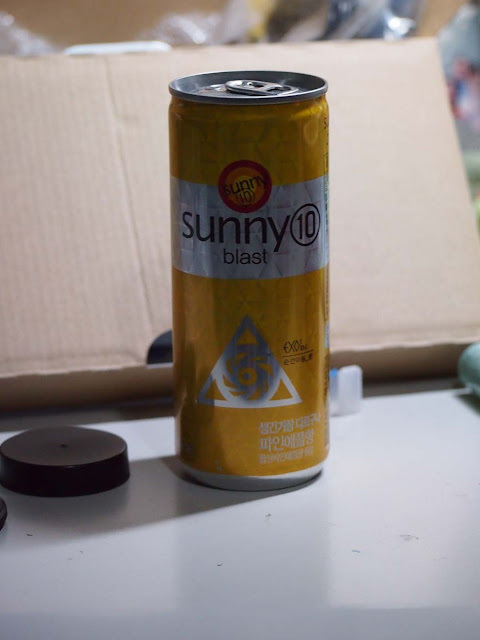 Both this drink and the Sunny 10 drink is produced by the Coca Cola Company. 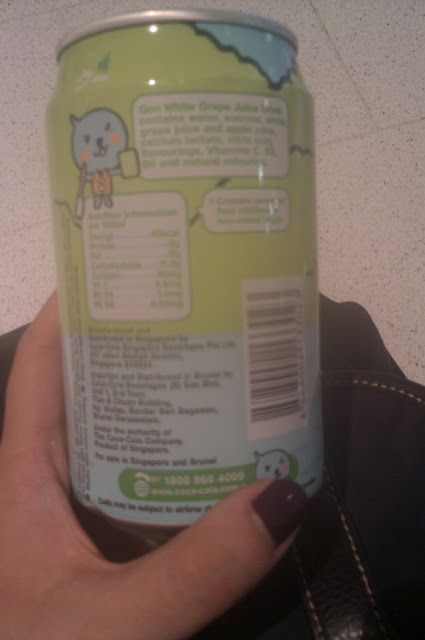 I like Minute Maid so I purchased this one to drink to drown the spiciness of the rice cakes. 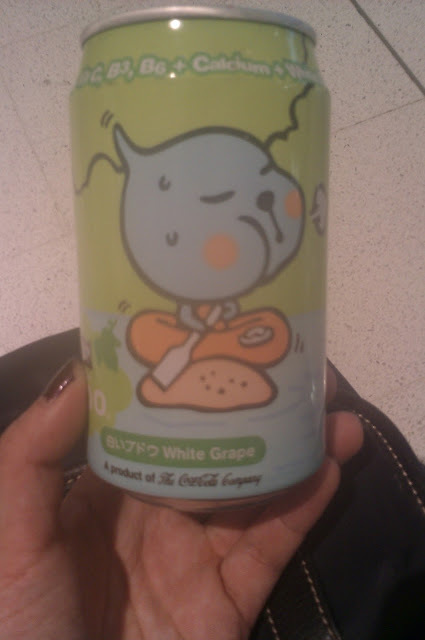 It was a light grape flavoured juice. It was tasty, but not mind blowing. From memory it was around $1.80. A pretty good price. Guess I'll call Nintendo tomorrow and see if they can do anything about it even though it's just out of warranty. I'll also drop by EB Games and see if anyone can help me. 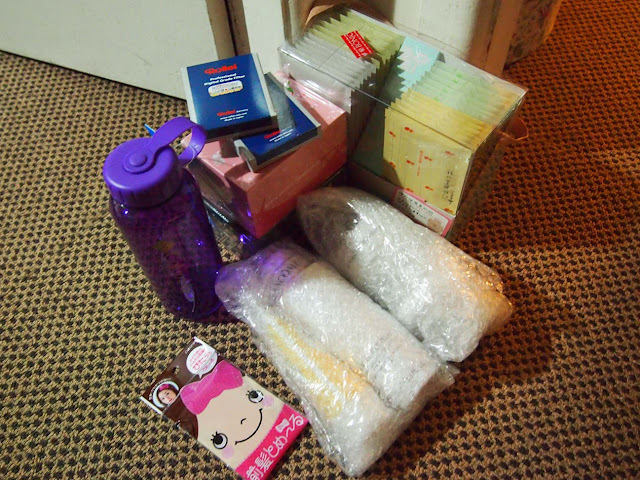 My dad purchased me practical items. Just like a dad. He got me some socks for work, a drink bottle, two Rollei UV filters (37mm & 58mm), a 16GB micro SD card for my camera, and a screen protector. All in all, this only cost 78AUD. A box of 10 My Beauty Diary sheet masks is $20 in and around the city. The cheapest I've seen it go for is $17, and I was considering buying a box. I have to say, I like the facial foam the best. 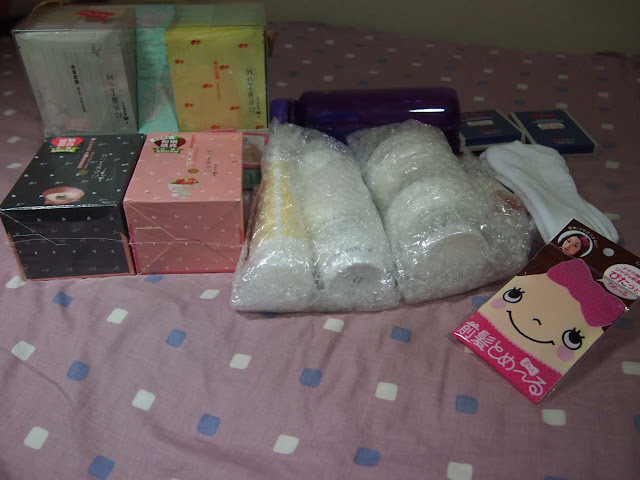 It works especially well with the cleansing net I bought from Daiso. I've used the serum quite a bit. I was hoping to get rid off this dark spot on my cheek. However, I did not have high hopes for this product as I have read disappointing reviews but I still wanted to try this whitening serum. So far, I've seen my face brighten a bit after a week of use with using the rice mask, black sugar mask, and the sheet masks. Missha and The Face Shop masks tingle and make my face itchy though I really enjoyed the Green Tea and the Pomegranate masks. The My Beauty Diary ones fit well and are comfortable-- unfortunately, I had already placed my order when I purchased a packet of the Earl Grey Tea and Macaroon mask. Otherwise, I may have picked up a box of that one because it smells soooooo good. 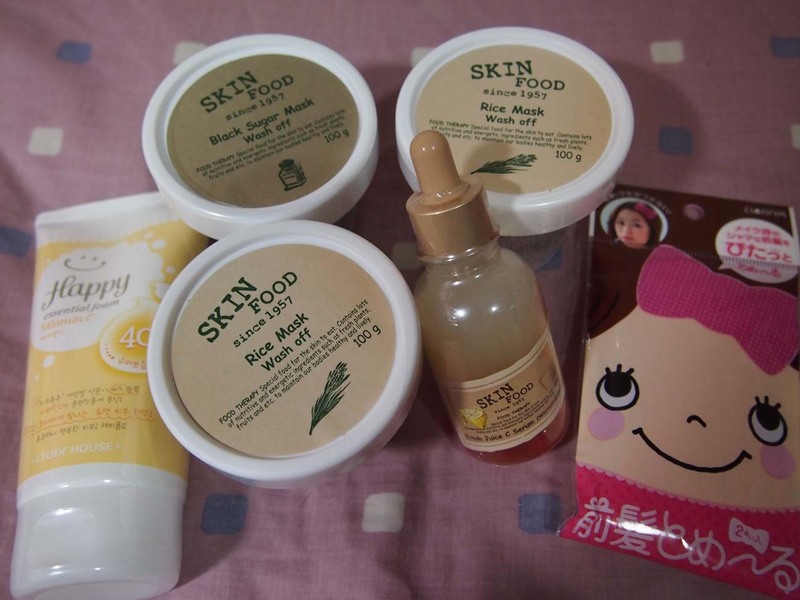 The Bird's Nest one is also very good^^ The Natto, Black Pearl, and Japanese Cherry Blossom ones are meh to me because they smell the same... but nonetheless, they are all great! I'm going to focus on pampering myself this year, and work towards my goal for next year! Here's to a late 2013 resolution!